**This post contains affiliate links. Verte Luxe only links to brands we trust. How many times have you wanted to give the perfect gift? The gift that feels good to give, that makes the person getting that gift experience happiness when receiving it and the gift that actually gives back. 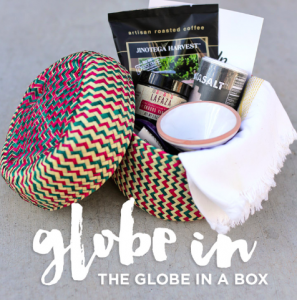 Globein Gift Boxes are exactly that thing. 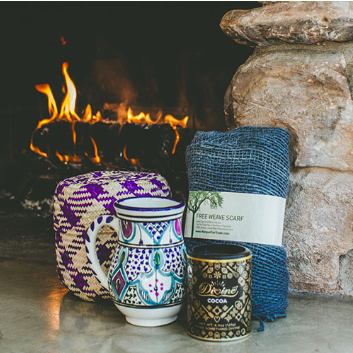 These handmade and ethically sourced boxes support artisans from remote regions around the world. The best part about them? Every product has a story. Globein is a member of the Fair Trade Federation, which “is part of the global fair trade movement, building equitable and sustainable trading partnerships and creating opportunities to alleviate poverty.” The purchase of Globein gift boxes helps to employ artisans in underdeveloped countries, provide fair wages, clean living, health insurance, and child care It also helps to offset school costs, allowing children to gain proper training and life skills. We love that each box has its own unique items that benefit different regions and their causes. We all need a little “thank you” now and then. 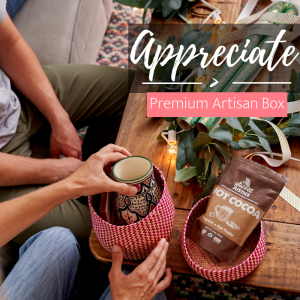 GlobeIn’s November Premium Artisan Box Theme is “Appreciate”! Sign up for yours today! The best part of Globein is that new customers can take $10 OFF their 3-month or longer Artisan Box subscription. Get $10 Off 3 Month or Longer Artisan Subscription Box! Use Code ‘WELCOME’ and Save at GlobeIn!